Try to say that 10 times fast. More than ever, applications built for the web connect customers directly to systems running behind the firewall. In this session, explore how building on the Microsoft Dynamics CRM platform and taking advantage of Windows Azure, Live Services, and SQL Data Services provide a great platform for building proactive self-service web sites that effectively manage the end-user experience. For businesses to stay competitive and keep up with changing needs, a flexible and responsive IT infrastructure is needed. Microsoft Dynamics and the Microsoft Application platform provide powerful capabilities for delivering applications that power your business and enable your people to do their best work. Learn how organizations using Microsoft Dynamics benefit from the Microsoft Application Platform, including Visual Studio, SQL Server and BizTalk Server. BTW, if you haven’t signed up yet, It’s not too late. The economy may be causing you to pause when it comes to conferences. 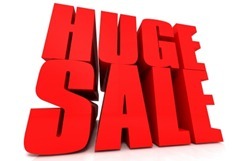 We’ve announced a few deals on product to help make it even more appealing. These offers are available exclusively to Convergence attendees. 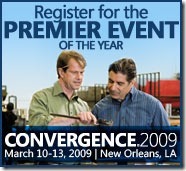 On the ERP side: Microsoft Dynamics AX, GP, NAV, and SL customers who attend Convergence 2009 are eligible to receive up to a 20% discount. Terms and conditions available here (requires PartnerSource access). And on the CRM side: Save 75% on Dynamics CRM Online—$9.99/user for six months. Terms and conditions available here (requires PartnerSource access). I couldn’t help but think about the old Kermit the frog tune while chatting with Jennifer Pollard (Product Manager) and Neil Huizenga (Software Developer) last week about the new Environmental Sustainability Dashboard for Dynamics AX. While many organizations are doing everything possible to reduce their carbon footprint and improve the efficiency of the resources that they do use, it is often difficult to measure progress. With the recent economic downturn and pressures to report emission, the environmental sustainability dashboard helps organizations to run their business more efficiently as well as fund ongoing green efforts. Jennifer talks about Microsoft’s commitment to the environment including making ourselves greener by reducing our carbon footprint and partnering with governmental and non-governmental (NGOs) organizations to to address larger global environmental issues. At the heart of this is technology. The Environment Sustainability Dashboard is a part of that commitment. The Dynamics AX team has heard from our clients that they are feeling the pressure to report whether that’s for regulatory reasons or for reasons related to the greening of supply chains. Jennifer shows us a great demo of how this dashboard built into Dynamics AX as a role center takes advantage of SQL Server Analysis and Reporting Services within SharePoint Web Parts. Out of the box the product provides 4 web parts showing energy consumption, greenhouse gas emissions, actual energy costs and Key Performance Indicators (KPIs). The KPIs are based on Global Reporting Initiative’s (GRI) Sustainability Reporting Guidelines v3.0 (aka G3 Indicators); the de facto standards in this area. With this product a process as simple as paying an energy bill becomes an opportunity to capture information about energy consumption and as a result the ability to calculate the related greenhouse gas emissions. Jennifer makes the point that “if you can measure it, you can manage it” and shows a couple of scenarios where being able to monitor energy consumption puts organizations in control of that consumption in order to reduce energy costs and greenhouse gas emissions. There’s a huge demand right now for partners and developers with knowledge in both environmental and ERP systems. The dashboard comes with just a few web parts leaving open the opportunity for developers to build this out much further (for example with water and waste consumption). Neil shows us how simple it is for a developer to dive into the Dynamics AX Application Object Tree (AOT) and modify the metadata in order to customize the system in just about any direction. So yeah, I guess we did just make it a bit easier to be more green. Sorry about that, Kermit. While at the Convergence conference a while back I bumped into Michael Fruergaard Pontoppidan (Principal SDE) and Morten Jensen (Program Manager) from the Dynamics AX team. Both Michael and Morten are based at the Microsoft Development Center Copenhagen (MDCC) and have worked on Dynamics AX since the first release. Morten and Michael worked on the version control feature in Dynamics AX. I more or less dragged them over to a table at the conference and grilled them on how it all works. In AX 4 we first introduced version control with integration to SourceSafe. In AX 2009, we introduced Team Foundation Server (TFS) support as well as a MorphX VCS a low –end home-brew version control. Michael walks us through the MorphX VCS feature showing how it integrates Check In/Check Out functionality directly into AX environment. MorphX VCS is included with Dynamics AX. The target for this low-end VCS is VARs maintaining numerous client system customizations on the same code base. Version Control is just one leg of the Dynamics AX team’s commitment to Engineering Excellence. They’ve also integrated unit testing and best practices policy enforcement. The Dynamics AX team uses this integration themselves integrating with Source Depot (an internal Microsoft versioning system). They are looking at moving to TFS. In this video I’m back on the Advanta campus chatting with Michael Merz, Program Manager for Application Integration Framework (AIF) on the Dynamics AX team. AIF is a standards-based framework that allows you to publish and consume web services. It’s used primarily in integration scenarios when connecting Dynamics AX with other systems. AX also has .NET Business Connector (BC.NET) for integrating with .NET applications. BC.NET is more for client side integration. AIF is all about web services and is completely standards-based. Under the covers AIF takes full advantage of .NET using Windows Communication Foundation (WCF). For more complex integration scenarios AIF can also help expose services using MSMQ and BizTalk. With Dynamics AX 2009, the team ships a bunch of services (about 60 out of the box) that are ready for use. That includes, for example, the more common scenarios like integration with sales orders or customers. AIF allows you to create, read, update and delete those sales orders while maintaining the integrity of the database (i.e. without directly touching the database at all). This is done independent of the transport so when developing you could begin by updating via http and later switch to MSMQ. This can be as simple as enabling the service then “generating” which generates the WCF interface (i.e. WSDL). That web service is then available to be consumed by any standards-based client (including apps written in php, java and naturally any of the languages in Visual Studio). You can also configure the service endpoints to change the binding or authentication parameters. In the video, Michael walks us through using a standard Excel Visual Studio Tools for Office (VSTO) project to consume a AX 2009 sales order service that is exposed using AIF. He also shows us how, by using WS-Addressing in the WCF headers, you can pass a target company for a web service call. By default, AX limits error messages coming back from the server for security reasons. Michael shows us how to configure AX to propagate those errors when you need to see them. 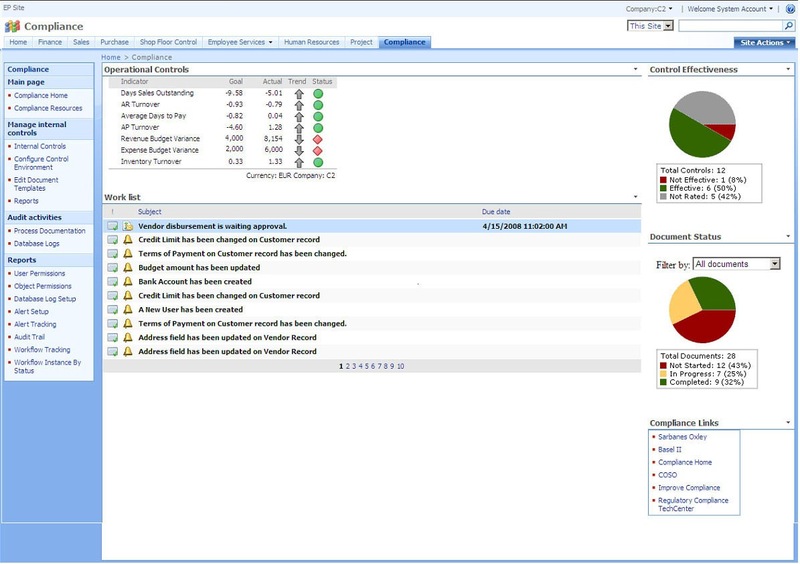 Dynamics AX is a rich platform for supply chain management and financials. AIF opens up AX so that ISVs can build on that richness by integrating their own applications. Sometimes when you do that you need to consume a web service exposed by external applications. We see here how you can plug external web services into the AX processes. In this case, Michael shows us how when trying to create a customer in Dynamics AX with a name that has been blacklisted by the US government (“Bin Laden”, for instance. Yikes! ) the customer create process calls out to an external web service in the cloud to verify the customer name. This seamless integration of external processes is a boon for ISVs that need those deep integration points. Michael explains how. In order to do this sort of integration you build a Service Reference in the Application Object Tree (AOT) to provide the parameters. AX takes care of much of work by generating the artifacts (compilation, deploying, bundling etc) that are deployed and executed on the server. CLR interop is available in order to use .NET DLLs and their classes. I spent some time with Manoj Nuthakki on the Dynamics team chatting about how we take full advantage of SQL Server Reporting Services (SSRS) and SQL Server Analysis Services (SSAS) in the recently released Dynamics AX 2009. AX 2009 ships with 10 SSAS cubes out of the box so includes tons of pre-built KPI’s and reports all built on the SQL Server BI platform. Manoj walks us through how reports and charts are built in Visual Studio including conditional formatting or custom business logic in C# while pulling metadata and data directly out of AX. 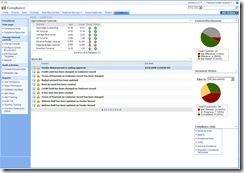 The reports are easily put into the AX 2009 rich desktop client and the enterprise portal web client (built on SharePoint). With the role center integration a developer can build reports, charts and KPI’s that appear only for the appropriate roles. Since AX is an international product, localization is built right in. I posted the link to the Dynamics CRM Statement of Direction a short while ago. It is located on PartnerSource which requires registration. Typically this is for partners that resell a Microsoft Dynamics product. I recently discovered a way for ISVs who do not resell Dynamics products to gain access to this resource. The Microsoft Dynamics ISV Developer Registration Agreement provides ISVs that do not resell or intend to resell Microsoft Dynamics® products directly to end customers with access to PartnerSource and to the development and demonstration licenses and registration keys for their choice of Microsoft Dynamics NAV, Microsoft Dynamics AX, Microsoft Dynamics Entrepreneur Solution, or Microsoft C5. For Microsoft Dynamics NAV and Microsoft Dynamics Entrepreneur Solution: you also need to sign the ISV Developer Registration Add-on addendum for your region. For Microsoft Dynamics GP, Microsoft Dynamics SL, and Microsoft Dynamics CRM: Licenses and SDKs for are available at the MSDN Premium Subscription level. Use this agreement only to obtain access to PartnerSource. If you resell or intend to resell Microsoft Dynamics products directly to end customers, do not use this form. 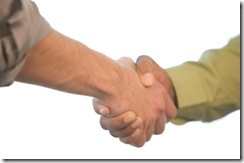 You need to sign the Solution Provider Agreement and related Product Addendum. I wish there was a little less friction to get this sort of material. I know we’re working on that. I hope this helps a few ISVs out in the meantime. Hey! I just noticed that the AX Enterprise Portal team started a blog a while back. Welcome to the conversation, guys! A couple of weeks back the Dynamics AX team announced general availability of Microsoft Dynamics AX 2009. While the team was basking in the glow of a job well done I grabbed a few folks for a chat. In this Channel 9 video I sit down with Hal Howard, Mike Ehrenberg and Sukumar Rathnam. 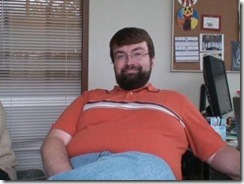 Hal is the General Manager for Dynamics ERP (he runs the R&D for all ERP products at Microsoft). Mike is senior architect for the entire Dynamics team. 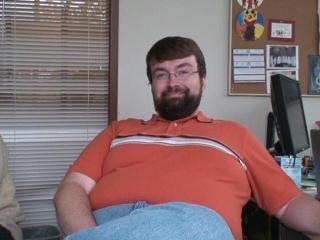 He’s also a Microsoft Distinguished Engineer. Sukumar is Architect for Dynamics AX. In our short chat we talk about a lot of different topics. Of course, Dynamics AX is an ERP product and there are numerous new features for customers using the product (literally hundreds of new features actually). For this chat we focused completely on the ISV and SI developer experience. Dynamics AX 2009 takes a major step forward in integrating itself into the Microsoft stack. That includes deep integration of web services with Windows Communication Foundation, process workflow with Windows Workflow Foundation, storage, reporting and business intelligence with SQL Server, a brand new role-tailored user experience in either a rich client built entirely in .NET or a web client built entirely in SharePoint/ASP.NET, and finally tight integration of unified communication with Office Communication Server/Office Communicator. I definitely need to dive into some of these in more detail. Look for more Ch9 videos on these topics soon. BTW, this is my first Channel 9 video where I’m behind the camera. That’s especially evident at the very beginning of the video. Let me know what you think in the comments below or in the Channel 9 video comments. I almost snorted my tea across the room when I read this one. Pretty funny quote, I think. The great news, of course, is that Dynamics AX 2009 is now generally available. The team put a lot of hard work in to this release. There are thousands of new features here and there’s some really good stuff related to the Microsoft stack and especially good stuff for .NET developers. I’ve got my video camera out and have been visiting a few friends in building 110. Look for some interesting Channel 9 videos coming soon.